Proper merchandising of Shutterfly products can be the key to driving conversion rates — and earning a bigger commission check. 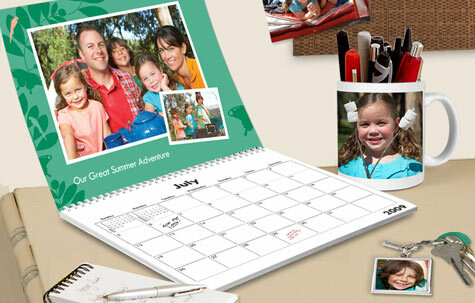 With a breadth of products, Shutterfly has merchandise for any theme, season, or occasion. Using Shutterfly’s creative, individual product links, or storefronts, this is a great opportunity to display relevant, high-demand products and categories. Effective merchandising requires a balance of product attributes, timeliness, and emotion. Below, we’ll show you how to combine these approaches to make an effective and profitable approach. Holidays and special events are perfect times to use Shutterfly products as gifts and a way to stay in touch with friends and family. End-of-year holidays, New Year’s, Valentine’s, Halloween, Mother’s and Father’s Day, July 4th, plus baby, wedding, party, travel, or graduation are opportunities to market our products to customers. These are times that customers will want to remember, and our products will help them preserve memories and stay closer with those they care about. Greeting Cards. Take a favorite picture, add one of our birthday-themed borders and have the details printed inside for customized invitations. We’ll send them to you or mail them for you, if you wish. 4×8 Photo Cards will let you announce your birthday party to a larger group. They’re available in sets of 12 — or more — with envelopes. They’re printed on high-quality photographic paper and feature your picture and party details on front. Magnets are a unique way to announce your party. Use a fun picture with a border or caption (such as the date) and you’ve made a unique invitation to send to friends. Magnets are available in two convenient sizes (they make fun favors, too). Coasters will provide a colorful accent to the scene. They’re available in sets of 4 — you can put a different picture, caption, or border on each. They’re perfect for hot or cold drinks and feature a no-slip cork backing. Make a set ahead of time for a hostess gift, or after the party for a unique thank you present for the hosts. Say “Thanks for a great time”! Note Cards let you say, “Thank you!” in style. Use a party picture, choose a border, and write a personal message inside. Note Cards come in gift-boxed sets of 12. People always appreciate personalized gifts. Such presents say, “this is a memento of a special time”. Shutterfly products make perfect one-of-a-kind gifts in that they feature a favorite picture, plus a caption or border. The end result? Customized Mugs, Magnets, Coasters, DVDs, Mouse pads, and more. For our Holiday Gift Guide, click here. Young mothers — use one of our Baby Announcement banners, text links, individual product links, or storefronts. The budget-minded — use one of our Hot Customer Deals banners or text links. Gift seekers — use one of our Photo Gifts banners, text links, or individual product links.